Awful place, and run down badly. Sadly seems to be another dying pub. No real ales. Turned round and walked straight out. Yes Tigos: we too found this the best of the bunch in the immediate locality, and for much the same reasons. We were nearby for several nights and had some fruitless searches. 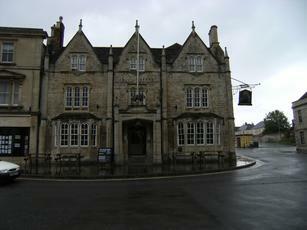 All in all Chippenham didn't seem to have as much in the way of pubs as you might have expected. Being stuck in Chippenham for a night, I tried 5 bars around the main High street/Market Place area. This was the most friendly and relaxed. It doesn't try too hard to be something that it isn't. The bar area is spacious, basically split into two, with good views directly up the High St. The beer, Caledonian, that I sampled was in very good condition, not chilled to tasteless buggery, as is the norm in this part of the world. The rest of the bar was well stocked for both lager and cider drinkers. The coffee was strong and flavoursome. The couple, who have recently taken over this place, were friendly and obliging, but not over bearing. Their hospitality was good and appreciated. The customers were fine and reasonably amusing. Surely the best option that I sampled in this little town. The Bear OK pub with a pretty standard selection of drinks, and is decorated reasonably well, its clean and well lit, however it has a strangely transitory feel about it, i.e it doesent seem to have regulars, it feels like a bar in a train station or airport , everyone is just passing through. The bar staff are OK , however service is not always all it could be. Its location at the top of the market place is nice and it has a great facade and is quite imposing, but strangely small inside, and everyone now and then hosts small mobile discos , which are quite dated as a concept now, and should be quietly abandoned. The fact that it requires security at weekends is quite strange, its doesent seem like it would attract kids/yobs etc.